One can never tire of wearing hoop earrings. You collect them in all size and shapes. 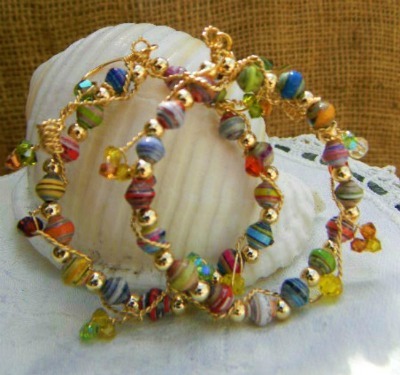 The extra small paper beads are great for projects like this Beaded Hoop earrings. I was thinking of something that can go from day to night, so I added some sparkles to it. oh!! small sparks of crystal bicones add a touch of originality to these beautiful Earrings “créole”… highly feminine ! !